Spending two weeks lying on the beach may seem like heaven to weary parents, but kids can easily get bored with simple relaxation, and will almost certainly let you know about it. Family adventure holidays are a great way to take a break, discover new cultures and keep the kids active, entertained and hopefully tired and ready for bed by the end of the day! With this in mind, here are five adventure holidays the whole family can enjoy. China may not immediately strike you as being a family-friendly holiday destination, but the country has opened itself more and more to tourism in the last 10 years, particularly in regards to big, urban areas. 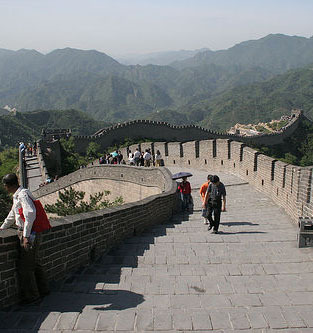 Adventure holidays in China tend to gravitate towards the Great Wall, and with good reason, but it’s worth taking some time to find a section of the wall that is relatively quiet and unobstructed by street vendors hawking their wares. Kids will love clamouring over the crumbling stone steps and imagining they’re repelling Mongol hordes. Plus, there are some other fantastic family attractions in and around Beijing, from the intricate Forbidden City to the many martial arts shows performed in traditional Chinese theatre houses. Family adventure holidays don’t come much more epic than this! 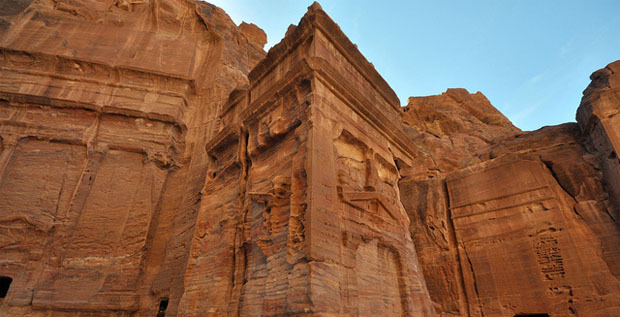 Follow in the footsteps of explorers and adventurers with an incredible journey from the pyramids of Egypt through the spectacular deserts of Sinai to the incredible ancient city of Petra. The trip can be covered in around two weeks, and there are loads of activities to keep the whole family entertained along the way. Kids will love trekking through the desert on horseback, camping beneath the stars in a Bedouin tent, climbing the biblical Mt Sinai and riding camels at Wadi Rum. After all this, you might just be ready to relax and spend a gentle afternoon floating around in the Dead Sea. The island of Sri Lanka is a truly beautiful place, adorned with lush tropical vegetation, crystal blue waters and a fascinating array of fauna and flora. However, for those after a bit more adventure, there’s also a fantastic range of fun activities and cultural exploration to enjoy. 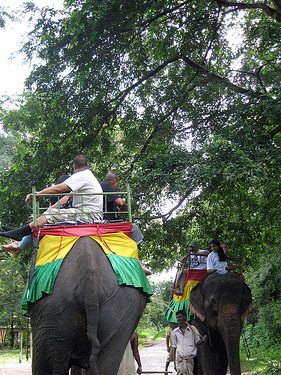 Elephant trekking is a fantastic way to see Sri Lanka, and kids will love the thrill of riding through the jungle on these incredible creatures. Animal lovers can also enjoy a jeep safari through Uda Walawe National Park, which houses an amazing array of animal and birdlife including monkeys, leopard, spotted deer and crocodiles. While most expeditions to Everest involve freezing conditions, dangerous climbing and general hardship, there is a way of experiencing the grandeur of the world’s biggest mountain without losing your fingers to frostbite. The trek is designed for teenagers and older children, and allows families to experience the most famous sites of the Everest valley over six days of walking. The tour begins in Kathmandu with its ancient Buddhist and Hindu temples and traditional market squares. Following a short flight to Lukla, the six day trek takes you through the ‘Sherpa capital’ of Namche Bazaar, and continues through the Everest region giving the whole family a chance to marvel at the incredible mountain from the beautiful monastery of Thyangboche. 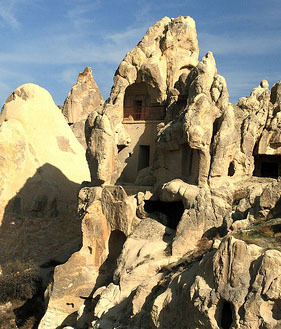 Experience the incredible fantasy world that is Cappadocia, with its amazing underground caves, rock formations and ‘fairy chimneys’. The Turkish region of Cappadocia also provides great opportunities for the whole family to explore the landscape on a whole host of transportation. Cycle through charming villages and stunning off-road scenery, take a horse-back ride along the riversides and valleys, and hike through the amazing caves and rock formations that will intrigue the whole family. Kids will love exploring the Derinkuyu underground city, once home to 30,000 people. This ancient multi-level city covers 11 floors, and includes amenities such as wine and oil presses, stables, cellars, storage rooms, refectories, and chapels. Hello, my names Michael, or Mick for short I am the author of the “5 great travel adventures for the whole family”. I have been travelling the world with my family for many years now. I love new experiences and enjoy sharing my trip reports and travel advice from my global adventure.